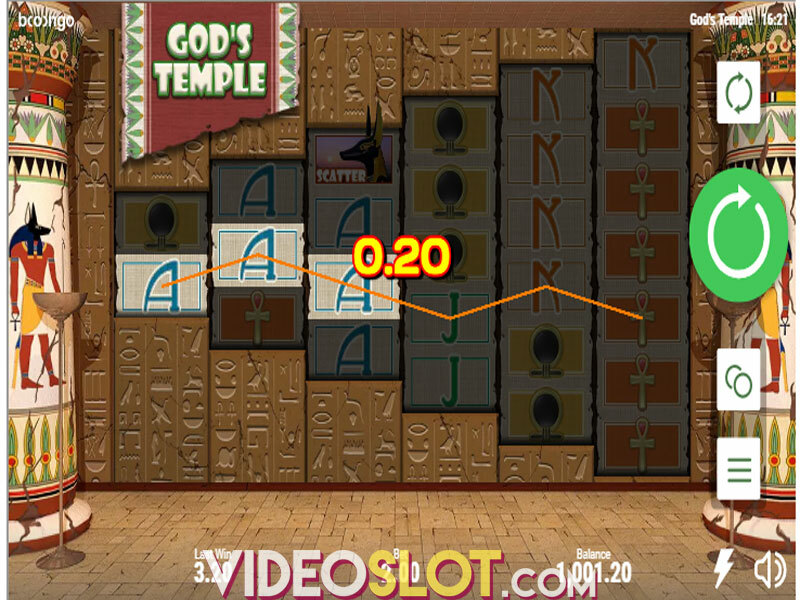 God's Temple Deluxe comes as an improved and refreshed sequel to the highly popular God's Temple slot machine, powered by Booongo software developer. Needless to say, the result is nothing short of amazing, so punters will this time benefit from the Free Spins feature, enhanced with Wild reels and mirrored reels. Just like in the original release, you can trigger free spins in two different ways – by landing Anubis Scatters and by collecting Scatter symbols during main game. The highest potential payout on a single spin is 1,600x your bet. 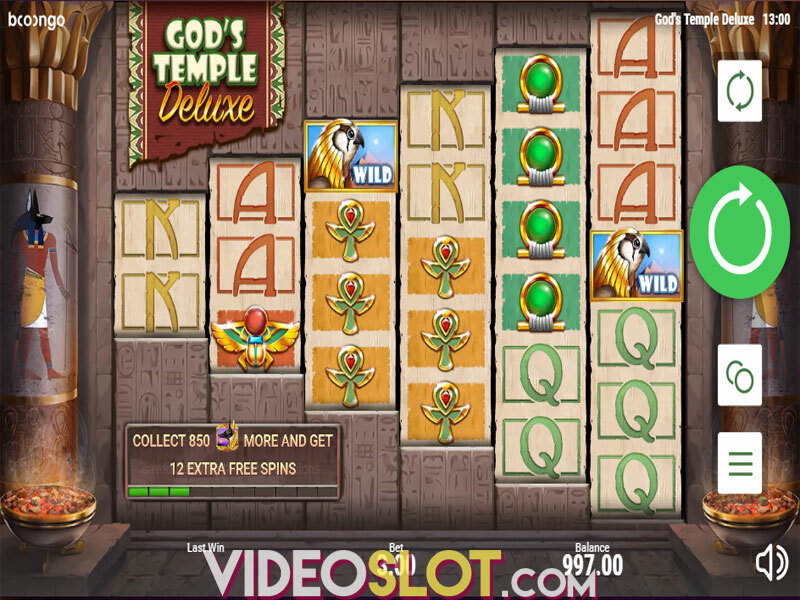 God's Temple Deluxe features 6 reels and 64 fixed paylines. Before you enter the temple, make sure to adjust the bet ranging from $0.20 to $60 per spin by clicking on 'Bet' button. 'Autoplay' feature is also available and will come in handy if you don't feel like spinning the reels manually. 'Max Bet' will automatically select the highest stake available, whereas 'Spin' will set the reels in motion. Speaking of graphics, Booongo has done a wonderful job, making the game a pleasure to both watch and play. The reels are populated by theme-related symbols such as Anubis – the god of the afterlife, Horus – the god of kingship and the sky, the golden Scarab, the Ankh, the Eye of Horus, and the emerald Brooch. The regular playing card symbols – A, K, Q, and J make up the low-value icons on the reels. Horus acts as Wild and substitutes for all other symbols to complete a winning, except for Anubis Scatters. Land at least three Anubis Scatters on the reels 2, 3, 4, and 5 and trigger the Free Spins feature. The number of Scatters you land will determine the number of free spins you win, so landing three Scatters will give you 6 free spins, while landing four of them will award 8 free spins. If you are lucky enough to land five Scatters, you will be granted 12 free spins. 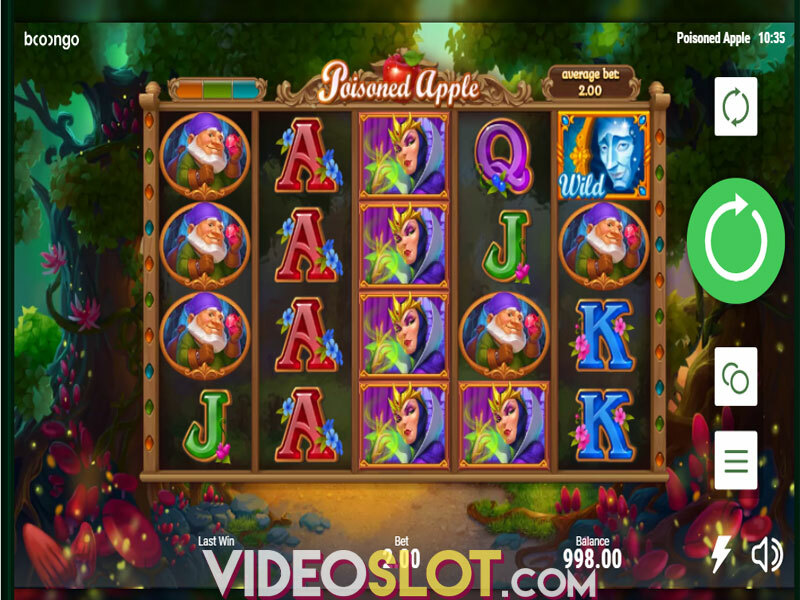 In addition, players can activate additional free spins by collecting Scatter symbols during main game. So, each Scatter hitting in the base game will be added to a meter. Once you accumulated 999 Scatters, you will grab additional 10 free spins. In this round, the reels will be mirrored, while 2 random reels will be covered with Wild symbols, to boost your winning potential. Unfortunately, free spins cannot be re-triggered. God's Temple is a medium variance offering with an average return to player of 96.84%. The slot boasts amazing graphic material and immersive soundtrack that is sure to add to excitement. On the other hand, we were disappointed that, even though you can activate free spins in two ways, the feature cannot be re-triggered. Moreover, the release doesn't offer any multipliers, or additional Bonus features that most slots are equipped with. Nonetheless, if you enjoy Egyptian mythology and culture, or want to try something different, you may want to give it a try. Where to Play Gods Temple Deluxe?